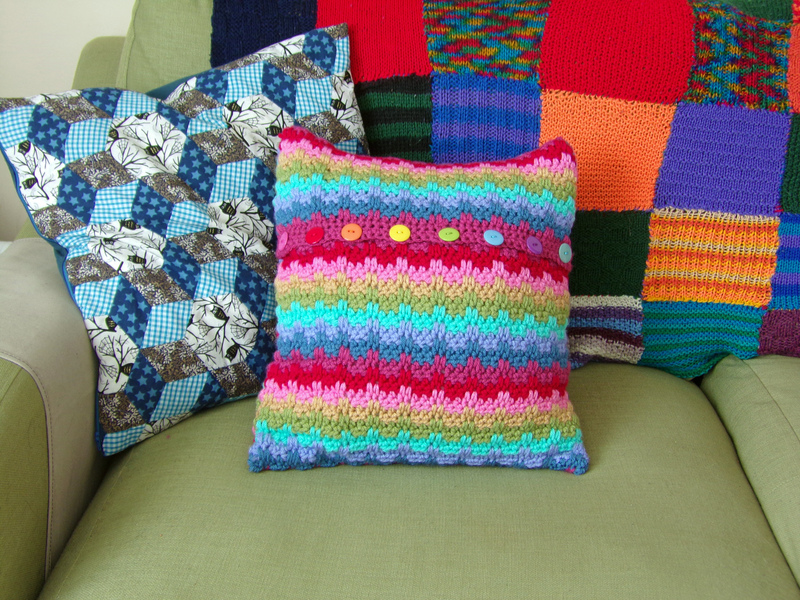 Mum’s happy crochet bag and other mother related news! Sunday was Mothers’ Day, or at least it was in the UK (don’t panic Americans, South Africans and people of other foreign lands! Yours is yet to come! 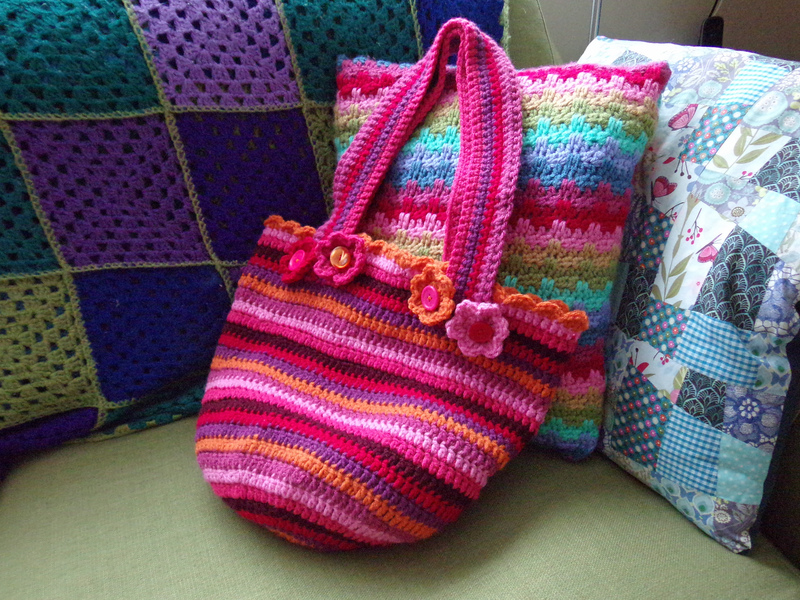 ), and sometime between plodding on with my blanket WIPs and catching the worst cold I’ve ever had, I managed to make my lovely mum a crochet bag using Attic24’s Jolly Chunky Bag pattern. 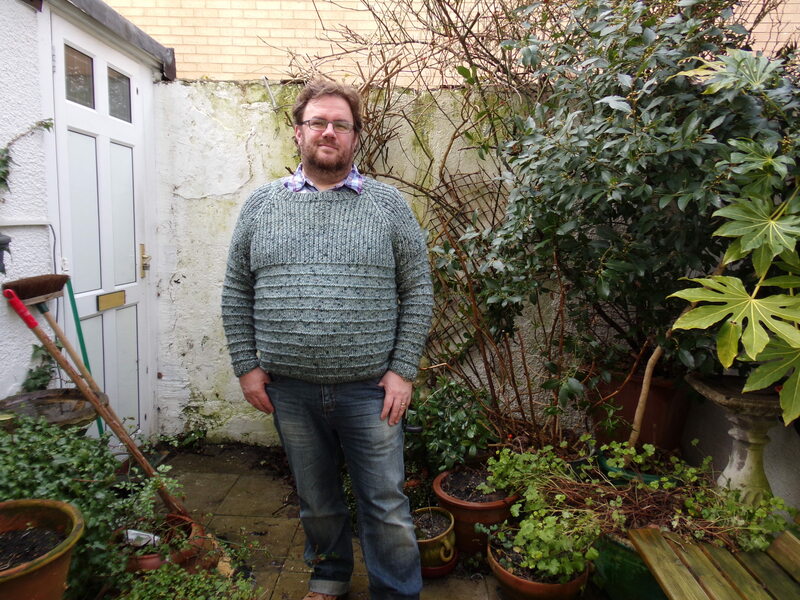 I finished Mr BAM’s Big Grey Jumper a whole week ago, and even the photos were done and ready to post! So just insert the usual excuses about life getting in the way of blogging here, and we’ll move swiftly on. 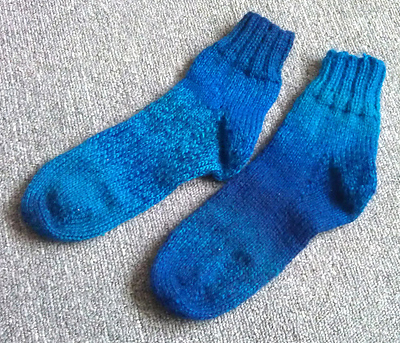 Aside from my Inner Gollum‘s dark mutterings regarding the quality of the seams. I’m actually very proud of it! And more importantly, my husband loves it.